It seems that Zionists and AIPAC will go to any lengths to stifle anyone critical of their murderous regime. There is no end to whom Zionists will pick a fight with. Now it’s Mary Robinson, first woman president of Ireland and former UNHR high commissioner who has supported Palestinian rights and criticised the tactics of Israel against the Palestinian people. 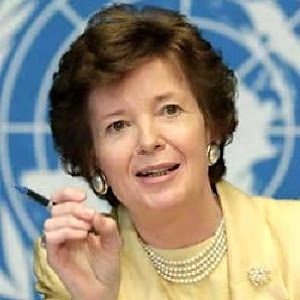 Mary Robinson has been included to receive the 2009 Presidential Medal of Freedom Award by Obama. Zionists object of course – anyone who criticizes Israel’s bloody tactics in Palestine cannot possibly be a good person. That pretty well means that a majority of people in the world are on Israel’s and AIPAC’s black list. 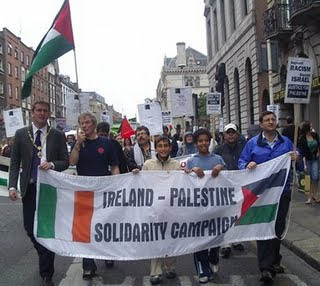 The Irish people have long supported Palestine and protested the savage treatment of its people by Israel with boycotts of Israeli products and humanitarian aid to the Palestinian people. Usually, the Irish like just about every country and nationality in the world. And, I might add, are welcomed everywhere, especially on UN peace keeping missions because of their congenialality and resolution of tense conflicts with good will rather than bombs and bullets. Israel should get some sort of medal itself for raising the hackles on Irish backs and being boycotted not only by Irish people, but also by Irish academia, a feat no other nation has accomplished in Irish history. Congratulations to Israel. I would here argue the merits of case affirming Israel’s violation of human rights, but it would takes weeks to list all the proven instances of its blatant disregard for human rights over decades. 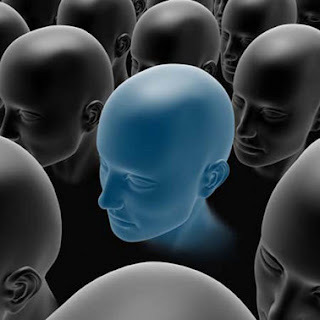 And of course, I would be arguing with people whose minds are immersed in Israeli propaganda. Only a fool argues with fools. Before or after you read the following article you might want to review Mary Robinson’s credentials in the area of human rights activities. Protests against the former Irish president, who critics say is anti-Israel, could become problematic for President Obama. Reporting from Washington — Jewish congressional members and lobbying groups are protesting President Obama’s decision to award the Presidential Medal of Freedom to former Irish leader Mary Robinson, who they say has a long record of harshly criticizing Israel. The award announcement prompted the first criticism of Obama by the powerful American Israel Public Affairs Committee, a group he courted during last year’s campaign. Jewish groups in the U.S. have been largely supportive of the president. But the Robinson award is the latest in a series of recent disagreements with Obama, and some Jewish leaders are growing skeptical of his commitment to Israel. Last month, Obama hosted Jewish leaders at a White House meeting designed to soothe tensions over his differences with Israel over the future of Jewish settlements in the West Bank and lingering concern over the tenor of his outreach to the Muslim world. By Thursday, several members of Congress — including two Jewish Democrats — had rebuked the decision to bestow the country’s highest civilian honor on Robinson during a White House ceremony planned for Wednesday. Among their concerns was her role as the United Nations’ high commissioner on human rights in the 2001 World Conference Against Racism in Durban, South Africa. The U.S. and Israel pulled out of the conference over objections to a document it produced accusing Israel of racism in its treatment of the Palestinians. The episode, Cooper said, “degraded” the global human rights effort, setting the stage for the second racism conference, held this spring, in which a keynote speaker was Iranian President Mahmoud Ahmadinejad, a fierce enemy of Israel who has questioned whether the Holocaust occurred. “They bully people who try to address the severe situation in Gaza and the West Bank,” she told a radio network, according to an account in the Belfast Telegraph. 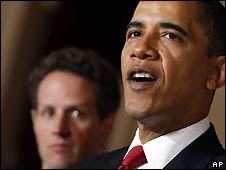 A White House spokesman, Tommy Vietor, on Thursday stood by the president’s decision, calling Robinson a key figure in history. “Mary Robinson was the first female president of Ireland, whom we are honoring as a prominent crusader for women’s rights in Ireland and around the world,” Vietor said. “She has dedicated her career to human rights and working to improve an imperfect world. Still, the controversy looked to be growing. The criticism from the American Israel Public Affairs Committee, or AIPAC, which called on Obama to “firmly, fully and publicly repudiate [Robinson’s] views on Israel,” was especially problematic for the president. As a candidate, he delivered well-received speeches to the group as he presented himself as a staunch supporter of Israel. AIPAC’s incoming president, Lee Rosenberg, is a Chicago friend of Obama’s and was a key fundraiser during the campaign. But critics point to a 2002 report compiled by the late Rep. Tom Lantos of California, a Holocaust survivor and delegate to the Durban conference, who said that Robinson’s conduct “left our delegation deeply shocked and saddened” by her remarks about Israel.